Subscription boxes are all the rage! Why not bring the concept into the classroom, letting imaginations run wild with your students, while they develop new ideas for them around a wellness theme? Thanks to Katie Kensinger, a FACS teacher from Branson High School, Missouri,you can! See her awesome idea below, along with some student samples. What are home subscription boxes? Names of home subscription boxes you’ve heard or seen advertising? Has your family every subscribed to any? What were your impressions? In small groups, read and discuss the article “It’s Dinner in a Box. But Are Meal Delivery Kits Cooking?” from the New York Times to help provide some background information. Discuss the different types of home subscription boxes and show students some examples using this link. Explain to students that they will be creating a home subscription box relating to nutrition and wellness. Katie reminds her students that nutrition and wellness is a well-rounded content; suggesting examples to her students around such themes as exercise, mental health, creating healthy meals, healthy snacks, preparing for a marathon, etc. Students will provide a name, theme, and eight (8) items for their box, with explanations for why the items promote health and wellness. She also explains that while these subscription boxes are usually sent monthly, students will only create an example for one box (one month). 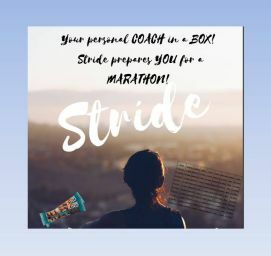 Students will submit three components for this work, and in this order: brainstorming sheet, marketing flyer, created in Canva with box name, theme, main concepts, four possible items, and detailed inventory and explanations list of all eight box items. See attachments below for specific instructions, rubrics and examples. This is great! We are going to use this today for our Advanced Nutrition Classes. Do you happen to have a rubric for this? I love this idea! Do you happen to have suggestions for this if we do not have access to the Canva software/app or computers for the students? I would suggest posters or maybe a large box and turn it into a cube type of project with all of the info one a different side. You might also have them construct a mobile and hang around your room after students present them. Students could also create mock informercials/skits to share their product. I teach 85 minute classes, do you have an idea of how many class periods this should take students to complete? My class periods are 43 minutes and if memory serves me correctly, it took students at least 3-4 days to complete in small groups.